Solid ramps are optimized for permanent installation, but can be relocated if you require an accessibility ramp in a different area. Also included among our selection of solid ramps are panel ramps, which can be upgraded to larger sizes with the addition of extra panels if you find that you need a bigger ramp for a given location than you originally expected. If you need to provide accessibility to your home or business for users of power wheelchairs and mobility scooters, these solid ramps are excellent options. 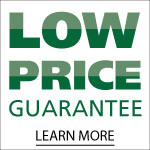 Every solid ramp sold by US Medical Supplies is backed by our Low Price Guarantee. 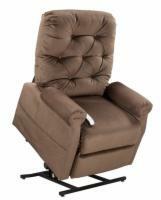 Also, all of our solid ramps ship free of charge! 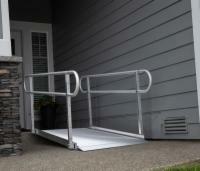 If you have any questions about a product you see here, please call one of our solid ramp experts at 1 (800) 790-4792.